After my first knee replacement surgery, I was looking for a way to get off the awful pain meds. My physical therapist suggested doing something with my hands. 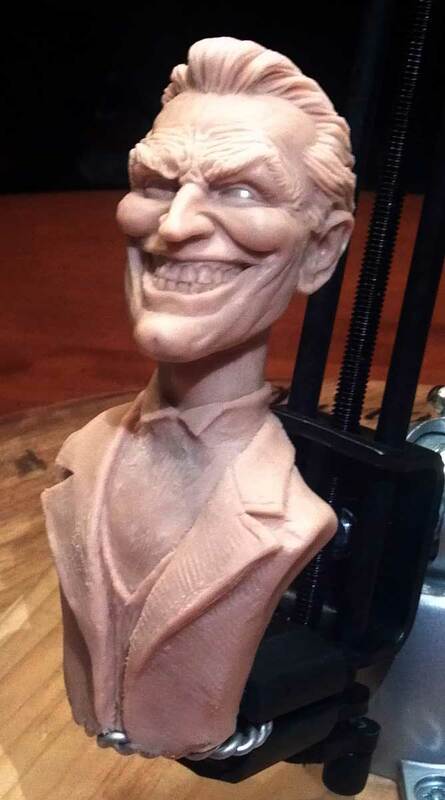 I started sculpting this Joker bust as a way to keep my mind off the pain. It worked very well, while I was sculpting. It’s almost finished. But, it seems the only time I get to work on these sculpting projects is when I’m teaching my sculpting class.